Hi, I'm Astrexia~ I own Lovely Disarray, producer of fine cosmetic applications, mesh accessories & eyes in Second Life. Astrexia & Glitch here for duo post! Crown: Candy Mountain . babu crowns – rage . Lashes: Candy Mountain . Moody Falsies . 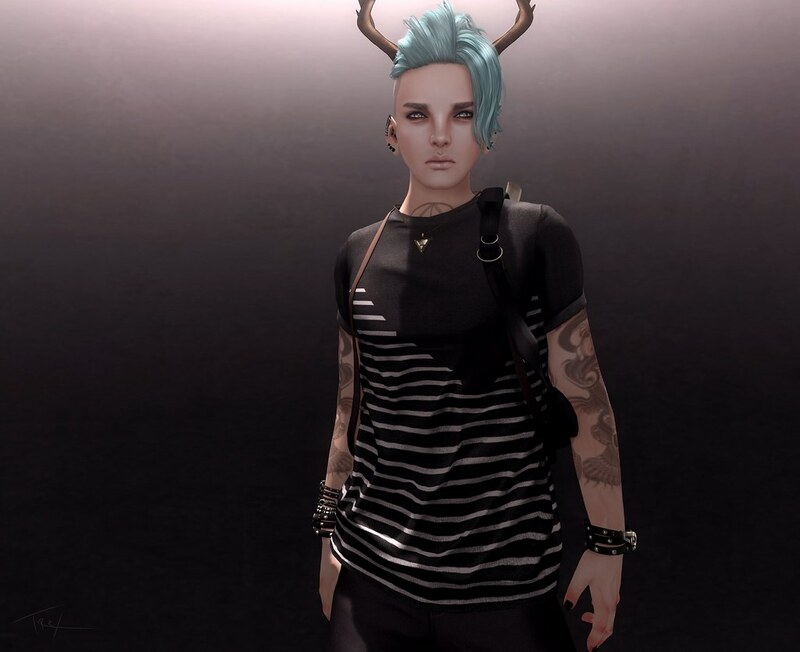 This round of We <3 RP, HoD has released an immense unisex set of face, body & mesh piercing set named Sanvean. It can all be purchased separately for a more customized experience or make it easy & buy the deluxe fatpack. Dozens of tattoo layers, piercings & applier options for all sorts popular mesh body attachments. You should definitely check this newly released set by HoD @ We <3 RP! The asterisk(*) beside the products name denotes that it was received as a promotional or review copy. June 1st marked the beginning of a new round of The Arcade. .Birdy. has made an amazing set of fantasy inspired pets to carry around with you on your whimsical journey. The Story Book Creatures are very cute & each pet has its unique attributes & animations. There will be 3 Rare Creatures & 16 Commons to collect! I’m sure many of you are excited for the new round of The Arcade! Tons of great things to look forward to collecting. Like many of you I’m sure to spend a ton of Linden going crazy on the gacha machines. Disclaimer: No Fennecs were harmed in the process of the photo shoot. Tengoku No Rakuen Furimaketto is a recent event that started on May 20th and will run until the 30th, it will continue this way each month. In this post I’m wearing a unisex mesh piercing previously released by HoD named “Close Enough” which is available at this round of Tengoku No Rakuen. It features all 12 metal colors, it’s the fat-pack~ for just 66L$! You have until the 30th to grab it at this super low price, so get to it. In this look I’m also wearing a handful of items exclusive to The Dark Style Fair. Scrub, Clemmm & [ContraptioN], =Kio=, Lovely Disarray, DirtyStories, & Lady Luck!